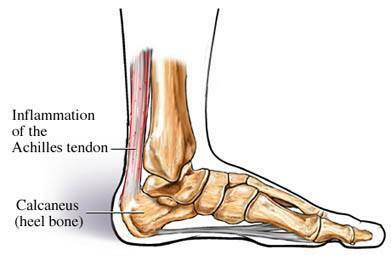 Plantar fasciitis is the most common form of chronic pain of the heel and foot in adults. Indeed, estimates suggest that one in every ten adults will experience plantar fasciitis in their lifetime. Located on the bottom of the foot is a flat, thick connective tissue called the plantar fascia that serves to connect the ball of the foot to the heel and create support for the arch of the foot. When the plantar fascia becomes strained, damage can occur in the form of tiny tears within the ligament itself. 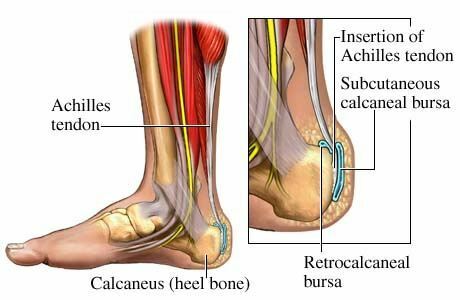 Thus, the pain associated with plantar fasciitis is a result of damage to the plantar fascia ligament, inflammation, and compression of the surrounding tissue as a result of the inflammation. Physical examination includes assessment of pain and degree of swelling. Your physician will likely have a number of questions regarding your history, the onset of the current episode of plantar fascia pain, along with a detailed description of the symptoms. Plantar fasciitis is generally the result of strain to the plantar fascia. Strain or excess stretching can cause tiny tears in the ligament leading to inflammation and pain. Some patients with plantar fasciitis may describe the symptoms as having a sudden onset, while others report chronic difficulties with symptoms that have worsened over time. 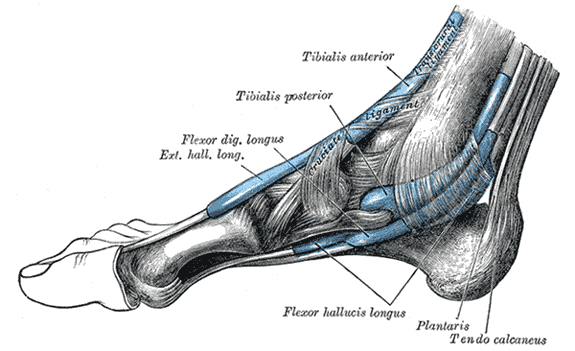 Overuse and strain are the most common cause of injury to the plantar fascia ligament. Not completing a proper warm-up routine before engaging in physical activity or becoming involved in a new activity involving physical exertion after a significant period of time with little to no physical activity can place individuals at risk for damaging the plantar fascia ligament. Plantar fasciitis may affect anyone; however, cases of plantar fasciitis are found more commonly among men between the ages of 40 and 70. While overuse is a common cause of plantar fasciitis, other factors have also been identified as placing an individual more at risk. These factors include family history of plantar fasciitis, increasing age, history of bone spurs, alcoholism, smoking, liver disease, thyroid problems, diabetes, being a male, and obesity. Patients who present with more mild cases of plantar fasciitis may successfully treat their condition with conservative interventions. Your physician may recommend rest, specified physical therapy exercises (such as stretches), night splints to wear while sleeping, and wearing shoes with adequate cushion and arch support. Application of a cold compress twice a day for 10 to 15 minutes is also recommended to reduce pain and swelling. Patients with plantar fasciitis that occurred as a result of an injury should not put too much strain on the feet for the first several days. Patients are strongly encouraged to allow ample time for full recovery. Full recovery may not be achieved for several weeks or even months. Though the patient may no longer be debilitated by symptoms of pain, stiffness, or weakness, the ligament may still not be fully healed. Over-the-counter pain relievers may also be beneficial in providing relief from pain. A non-steroidal anti-inflammatory drug (NSAID) may help patients who are experiencing moderate pain. These medications are recommended because of their ability to reduce inflammation. Oral corticosteroids, such as prednisone and cortisone, may also be recommended to reduce pain and inflammation of the affected area. Chronic or persistent cases of plantar fasciitis may require the use of a cast, brace, or boot that prevents movement of the foot and thereby protects the ligament from risk of stress or overuse during the healing process. Patients who are chronically debilitated by pain associated with plantar fasciitis may be considered for steroid injections, such as intraarticular steroid injections. Surgical intervention is a final option for cases that have not responded to other therapeutic techniques. For instance, plantar fascia release may be recommended, which involves cutting the plantar fascia ligament to release the tension that is causing the pain. Plantar fasciitis is characterized by pain, stiffness, and swelling in the arch and bottom of the foot. While many describe the etiology of the condition as following an acute event, it is likely that weakening and degeneration of the plantar fascia ligament developed over time as the result of overload. Additionally, genetic factors have been linked with an individual’s increase in risk for developing plantar fasciitis. A number of treatment options are available and are chosen according to the patient’s severity. It is recommended that you speak with your physician to develop an appropriate course of treatment. Fallat LM, Cox JT, Chahal R, Morrison P, Kish J. A retrospective comparison of percutaneous plantar fasciotomy and open plantar fasciotomy with heel spur resection. J Foot Ankle Surg. 2013;52(3):288-90. Fox TP, Oliver G, Wek C, Hester T. Plantar fascia calcification a sequelae of corticosteroid injection in the treatment of recalcitrant plantar fasciitis. BMJ Case Rep. Aug 2013. Lee WC, Wong WY, Kung E, Leung AK. Effectiveness of adjustable dorsiflexion night splint in combination with accommodative foot orthosis on plantar fasciitis. J Rehabil Res Dev. 2012;49(10):1557-64. Tahririan MA, Motififard M. Tahmasebi MN, Siavashi B. Plantar fasciitis. J Res Med Sci. 2012;17(8):799-804. Walther M. Kratschmer B, Verschl J, Volkering C, Altenberger S. Kriegelstein S., Hilgers M. Effect of different orthotic concepts as first line treatment of plantar fasciitis. Foot Ankle Surg. 2013;19(2):103-7.